I have a weird relationship with video games. I love video games, I own a lot of video games, and I want to play them most days of my life. And yes, I want to play at this very moment. The odd thing? These days, I almost rarely play video games. Even when Rene plays them almost daily and kindly asks me to join him, I still don’t play very often. Though, I do watch Rene play video games a lot. I suspect that the reasons behind this are from my upbringing and then my subsequent addiction to gaming. As a kid, I remember always asking for a video game console, but for whatever reasons, my mom never let me get any. I think she suspected that it would interfere with my school work or worsen my eyesight. To my mom, video games are a form of wasting time, and I believe I learned that belief from her, despite still being strongly drawn to gaming. So the closest I got to video games as a kid was watching other kids play them at the local arcade or at a friend’s house. By the time I was able to go to arcades on my own and play all I wanted, I felt that I shouldn’t waste so many quarters on such games, and only played minimally, while spending the rest of my time watching others play. 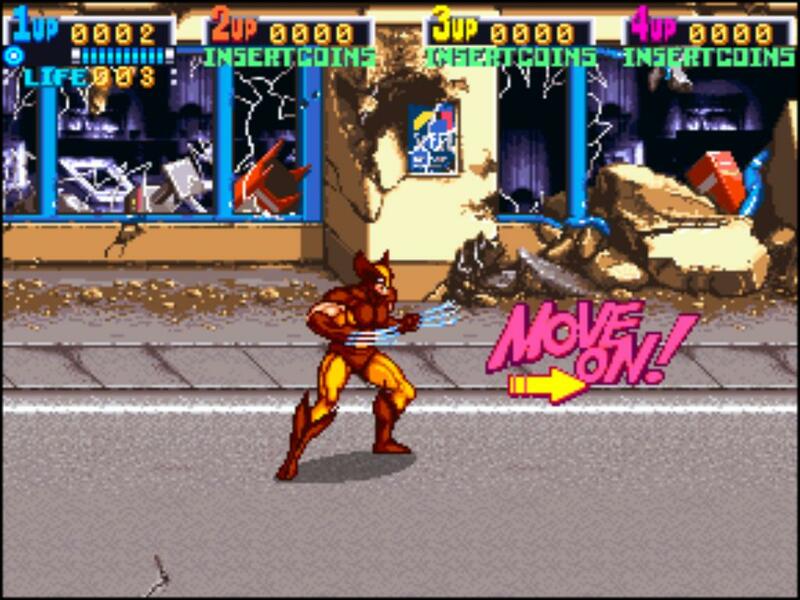 I used to watch the X-men Arcade game for hours at the local arcade shop. One of my all time favorite arcade games. By the time I was in college where I had access to free games on my computer (thanks to friends who would share their games), I really began to play them regularly. I used video games as a means of relaxing from studying, and I would often play into the early wee hours of the morning. At the time, it was awesome, and I became quite skilled at first person shooters during this time. 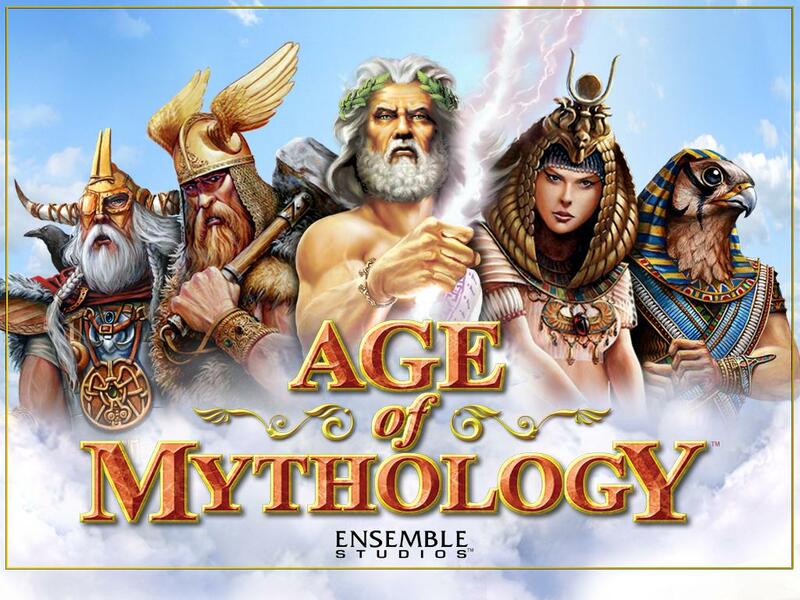 My first Real Time Strategy game. 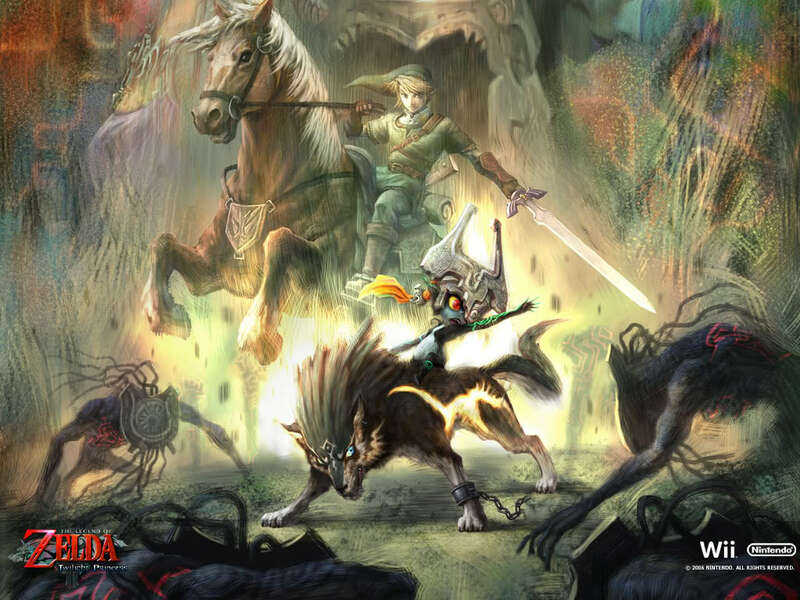 Also one of the first games I ever played all the way through to the end. 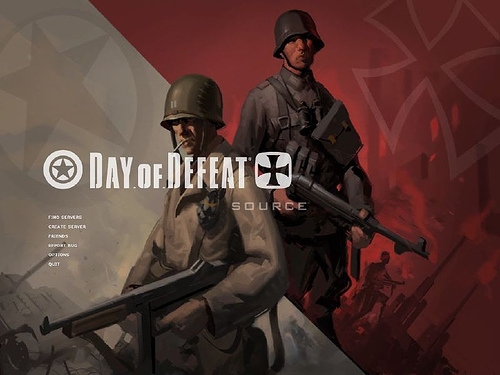 I fell in love with Day of Defeat, a WWII first person shooter. I became super awesome with FPS with this game and usually scored high. During the summer between my junior and senior years in college, I decided to stay in my college town and work on campus. Because most of my friends were home for the summer, I didn’t have many friends to hang out with in my college town, and I only saw friends when I drove to my hometown on the weekends. I began to feel disconnected from my friends. Most of them played World of Warcraft at the time, so I decided to join them in the game. Playing WoW was quite an experience. It allowed me to connect with my real life friends on a daily basis even though we were physically far from each other. For many, many hours we would interact with each other through audio chat while we toiled away at missions for our virtual characters. It also allowed me to connect with new online friends and gave me a strong sense of accomplishment because even a small amount of time devoted to playing would equate to experience points (XP), bringing me closer to a higher level for my characters. It was the perfect game for me at the time. Oh WoW, why you do me like you do? 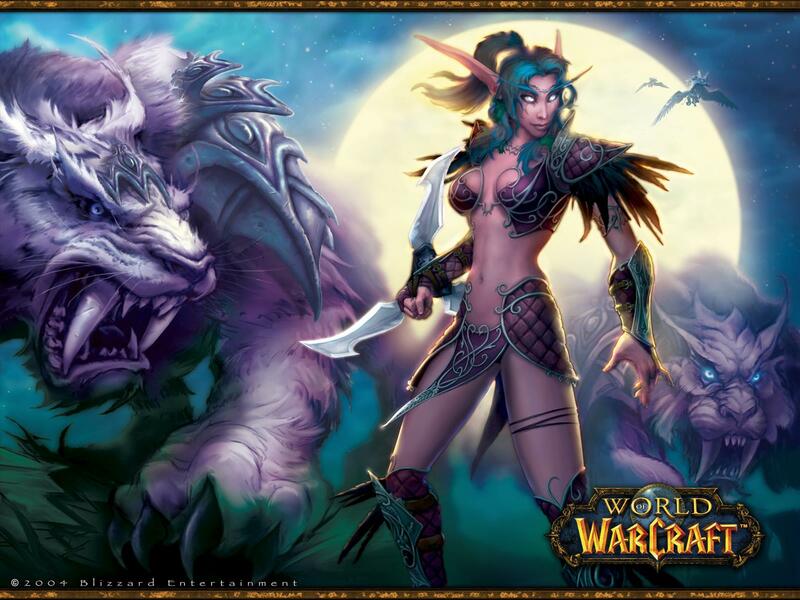 My main was a Night Elf, much like the one pictured here. When school was in session again, I lessened my gaming and devoted my time back to my studies and filmmaking. But after I graduated from college, left with no real goal of any sort and living at my mom’s house, I began to play World of Warcraft in crazy amounts. It became an addiction, and it was like I was on drugs. I would wake up, jump on my computer, play the game, and quickly run to the kitchen or bathroom for my meals and bathroom breaks, then run back to my computer and continue playing, then when I became overly exhausted (usually around 4-7am), I would finally shut down my game and go to sleep. Rinse and repeat. This continued for weeks on end, and I’m sure my mom didn’t approve, but she was nice enough not to say much about it. While this was happening, I knew that something was wrong. I no longer went outside anymore and I knew that what I was doing wasn’t really what I wanted to do. Plus, I was still drawn to my filmmaking, and it was frustrating not to be working on it. But the addiction was strong. It often made me think that I was accomplishing great things, even though all I was doing was racking up points for a virtual character. Plus, it only cost $15 for a full month of access. That was a big selling point of the game for me and my friends. We saw that even just going out to the movies would cost well above $20 for the tickets, food and gas. In hindsight, I see this as such a scarcity mindset, but at the time, the addiction had good reasons for me to continue where I was. I wasn’t able to really stop playing until Rene and I finally decided we were going to move to Los Angeles and try to work in the film industry. Luckily this was only 3 months after we graduated college, so I was only severely addicted to gaming for about 3 months. When we moved out to Los Angeles, I ceased all gaming. I think I was afraid that I would get addicted again and was beginning to worry about how I would pay the rent and have money to eat every day. That concern was strong enough to keep me from video gaming for probably about a year. I might have played some casual internet games, but nothing as intensive as a Massively Multiplayer Online Role-Playing Games (MMORPG) like World of Warcraft, or even first person shooters. It wasn’t until our money situation was more stable and I had a need for de-stressing from my stressful day jobs that I began to return to video games like first person shooters, and then only rarely. Which brings us to my present situation: I still have a passion for video games, but I think I have trained myself not to game much for fear of returning to that mad addiction I experienced over 3 years ago. 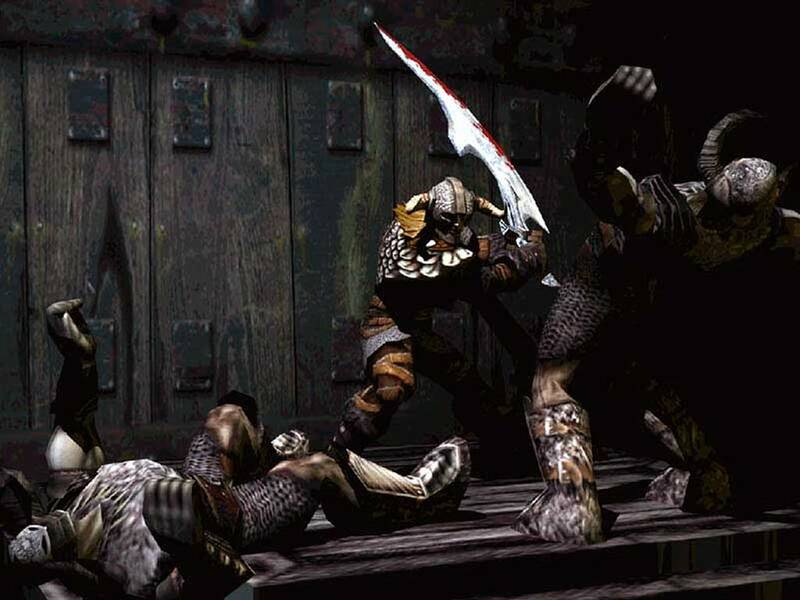 One of my all time favorite games, Rune. Who wouldn’t want to be a viking warrior fighting his way back to the world of the living? See how cool Rune is? The art in it is pretty cool, too. I’m now in a much more stable situation, and because I no longer have day jobs, and own my own business, I have a lot more free time to game. But I think I still feel that video games are a form of wasting time. Instead of playing, why not do the laundry? or clean up the mess that’s in the kitchen? or do more work for my company? It’s come to the point where I simply don’t respect gaming in my life. I push it at the end of my never ending to do list and rarely end up playing. This doesn’t make sense to the whole of me because I view video games as an excellent form of relaxation. So if I’m avoiding video gaming, am I avoiding relaxation in my life? I think this might be true since I also push other forms of relaxation to the bottom of my to do list. Relaxing with Link, yes please! I want to change this. I believe that video games are a wonderful form of art that allows us to interact with it. It’s quite a web 2.0 idea of art, and I want to appreciate all that it has to offer. In order to do this, I must accept with all of me that video games are indeed a form of art, and that if I play video games, I’m not wasting time, I’m getting to know an art form, bettering my character (not just my virtual one, but my real character as a person, too), and most importantly, relaxing. To this end, I hope to start playing video games regularly again. I’m aiming to write some blog posts about the video games I play so you can see my progress in this endeavor. Nothing more relaxing than fighting a horde of zombies with three of your best friends in Left 4 Dead. Okay, maybe that’s not the most relaxing, but it sure helps me forget about stressful days. Are you a gamer? What games do you play and have you had an addiction similar to mine? Do you think I’m just coming up with excuses to continue video gaming? Or is the pursuit to actively play video games a noble cause? In high school, I would play hours of Goldeneye and Starfox 64 with my friends. I skipped out on Game Cube, and pretty much every other system. To date, I’ve never played an XBOX, and we use our PS3 primarily for blu ray/Netflix. Even my beloved (and awesomely modded) Wii is gathering dust. For me, the big revolution in gaming is the ability to play nothing but old games. Be it through emulation, Wii’s virtual console (which is still emulation), “remastered” editions of Monkey Island, or packaging old games as bonus features or stand-alone releases, the most recent game I own is Little Big Planet. 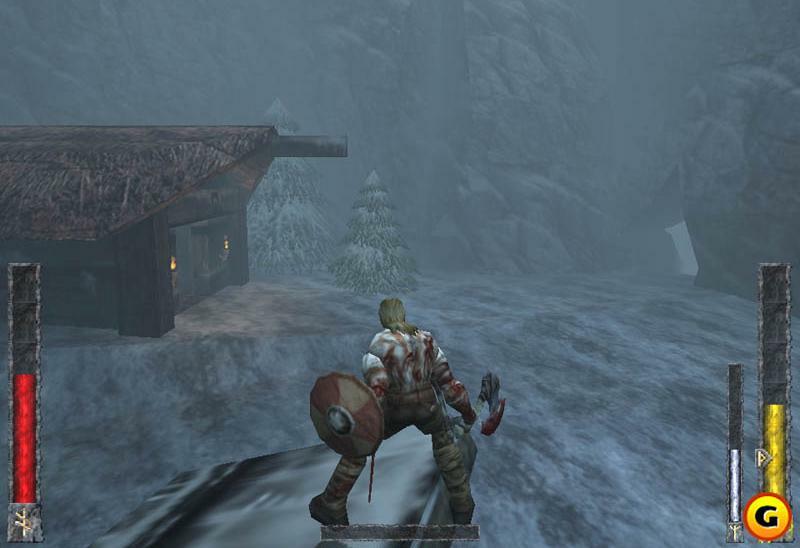 And even then, a good portion of the user-generated levels are attempts at recreating old games. For me, there came a point right around the release of the original HALO where playing games was inaccessible and undesirable. Gamefly aside, there’s really no way to rent/try video games any more, and I can’t afford to drop $50 sight unseen. And suppose one dropped into my lap for free (I am curious about all these Red Dead Redemption billboards I see everywhere), I can’t see much fun in getting fragged and “U SUK NOOB”‘ed for hours on end (I mean, I still can’t even use two analog sticks ;)). To end on a high note re: gaming as art, I’ve always found the metatextuality of the Metal Gear Solid series fascinating. Reading about it, that is. I’ve never played any of the games myself. It’s a shame you don’t have an Xbox 360, Ed, I think you’d really like it for their free demos. You can download a TON of free demos without even having the paid online Gold account. Often times, Rene and I will find we enjoy a demo so much, we will go out and buy the game because we can see that it is indeed a game we enjoy. Other times, we will find that the demos are so long and extensive, that we got all the enjoyment we need out of a game just by trying their free demo. At first, I was sad that we didn’t have a PS3, but I think that the online game play for the Xbox 360 has more than proved itself as quite worth the investment of the console. Now with Kinect, I’m really glad we chose the Xbox over the PS3. However, I do agree with you whole heartedly about the two sticks. I can’t figure them out properly to play FPS on the Xbox or PS3, and I much prefer to play my FPS on Steam on my Mac/PC. I know Steam offers some demos here and there, too, so you might want to check them out and enjoy some freebies there. Getting Steam is free, by the way, and it was just added to Macs. You should come over and try out Red Dead Redemption sometime. I actually prefer it to GTA. That engine is so much more preferable when you’re a cowboy/bounty hunter in the wild west. Really awesome game that I haven’t actually tried playing myself yet, but just watching Rene play the game has been awesome. And as for playing Red Dead Redemption online, you can mute others so you can opt out of hearing juvenile players. That is also another asset of Xbox 360, their online chat system is surprisingly awesome, too. In fact, you could be talking to your friends who are not even playing the same game with you while you’re on the Xbox, pretty cool option. Anyways, now I’m sounding like an Xbox 360 salesman. I still think I might be interested in getting the PS3 someday when our budget allows for it. I hear that PS3 is adding Steam soon, and that’s quite exciting. With Steam and Blu-ray, that’d be quite a worthy console to have. Hold on while I get my nerd voice out: It’s like only the best thing that ever happened to games and your PC (and soon to your PS3)! Okay, now that I’ve gotten that out of the way, it is indeed an awesome gaming platform that combines your game library, a game store, a social element (a buddy list), a demo library, and more. You can check it out here. In fact, since you are interested in game demos, here’s their current list of free demos to try out. Looks like you can try out Mass Effect 2 right now. Not too shabby. It’s free for you to get Steam, it only costs you money if you choose to buy any games, but I believe you can also add your already existing games to your Steam games library, too. The best part of Steam is actually the fact that you can buy your games online (you can also gift it to your friends), get it on your computer without ever touching a physical box, and no matter what computer you’re on, you can get access to your games! That’s right, if you go to a friend’s house and borrow their computer or upgrade your computer to another one or just have multiple computers, all you have to do is start up Steam, sign in with your account and then load all the games that you own. There are also tons of different kinds of games available on Steam to purchase, and there are always mad sales going on. In fact, there’s a mad sale going on now through July 4th. Okay, now I’m just starting to sound like a salesman. But yeah, it’s definitely an awesome platform, and I highly recommend it! I really enjoy your thoughts on gaming. I grew up with classic nintendo, super nintendo and the first playstation. By the mid high school I stopped playing video games entirely. Aside from a few trysts into gaming I didn’t start gaming again in earnest until the summer of 2009 when I moved back to California and found my friends playing Left 4 Dead. That did it, and by January 2010, I bought my own Xbox 360. Now, some of my favorite games are fps with online multiplayer. The reasoning is that I won’t get sucked into a game if I don’t play the arcade storyline. There is delusion in my theory because instead I end up playing endless hours trying to merc just one more person. I’m trying to come back around to only playing the arcade campaign, but it’s hard to change the habit. I didn’t know you played L4D, do you play it on your Xbox? If you play on Steam, you should come join me! Your reasoning is interesting. I think I’m the opposite, I’m more drawn to a game if I can play with my friends. I think I’m safer with non-multiplayer games because I usually can’t stick with them for long enough before something in me reminds me that I have not had any human (digital or in real life) contact for a while. It’s a shame, as I would like to stick to those single player games more and actually finish more of them! I do play it on my Xbox, which means we can’t play if you’re using Steam, right? If it meant playing with you & Rene I think I would go ahead and start playing on my Mac. It might be a little touch and go, because my MacBook is going on 5 years old now. It might be worth a shot. Poop. i just checked. 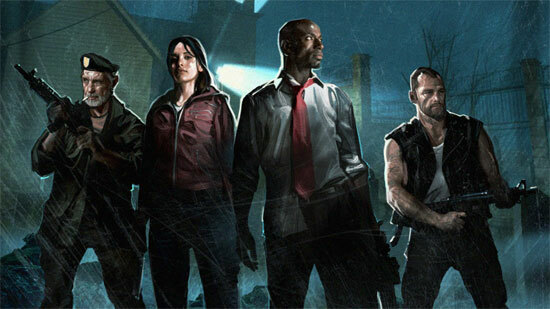 Left 4 Dead isn’t available on Steam for Mac yet. But they’re going to add it soon….I think. They already have Team Fortress added, and that’s a pretty decent multiplayer game, too. Definitely going to keep tabs on that, as I imagine a lot more people could play L4D with us when they open that up! Anywhoo, tell me what your Steam name is so I can add you as a friend! As a guy that runs a video game blog site, you can tell I side with games. I’ve heard this argument many times, videogames waste time and you could be doing more productive things….well guess what your right. But that’s any form of entertainment….watching a movie, playing basket ball, all these things are forms of dicking around. Sure maybe the more athletic ones have some health benefits. But every form of entertainment has so small form of health benefit, better eye coordination or faster thumbs.. I’m saying if you enjoy it then it’s not time wasted…its entertainment. Not everything in life needs to be creative…would be great if it was..but were not robots..we cant just create all day…and videogames do inspire. Tons of art and ideas can be found in videogames. Videogames can become an addiction…but so can eating, so can movies, so can tv, so can anything. Too much of anything is a bad thing. If you play a couple of hours a week you should be fine. It sounds like you were pulling a “WOW” and living in the game world choosing to live in games over real world. Play games a couple times a week and if ur not having fun that put the control down and go outside for a bit. You’re very right Matt! And I do think that video games are a great thing to spend my time with, now if only I’ll actually adhere to that belief. On a slightly different note, I have a friend who has some questions related to WoW. She works for Instructables.com and is interested in getting a real player’s perspective. Would you mind if I put you two in touch? Wow, it’s been so long since I played, but if my answers are useful, I don’t mind helping your friend. I can also recommend some of my friends who have played it more recently than I have, their answers will definitely be relevant.